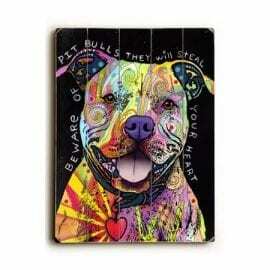 Love Pit Bulls? 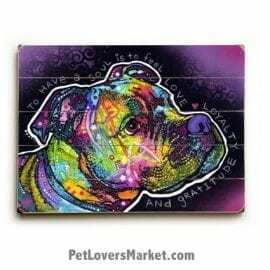 Express your appreciation with pitbull art! 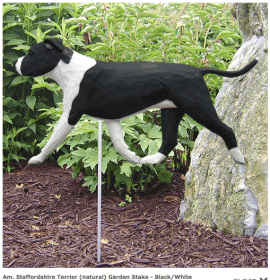 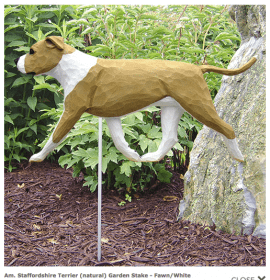 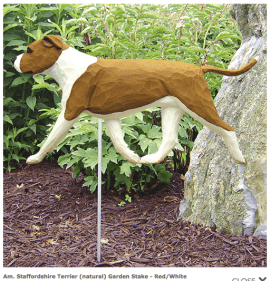 We offer home decor and garden decor — featuring the Pit Bull dog breed. 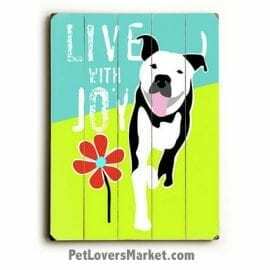 This includes: pitbull painting (on wood, matted or canvas prints); dog weathervanes; garden stakes; and more. 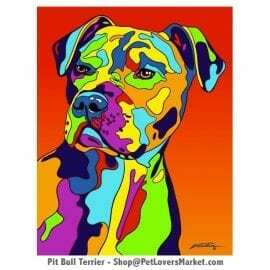 Our collection of pitbull art includes pitbull painting by Dean Russo, Michael Vistia, and other masterful artists. 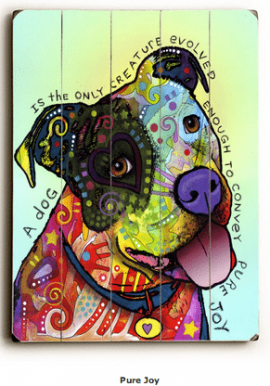 Dean Russo has received high praise for his unique and colorful pitbull painting. 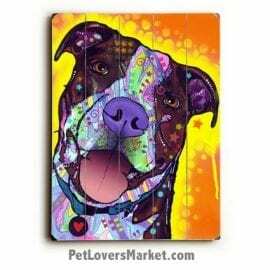 All of our pitbull art and pitbull painting make great gifts for pitbull lovers. 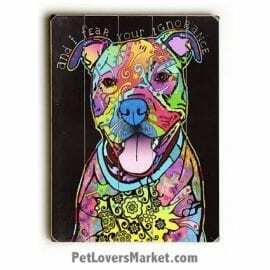 Sadly Pit Bulls have been an abused and maligned breed. 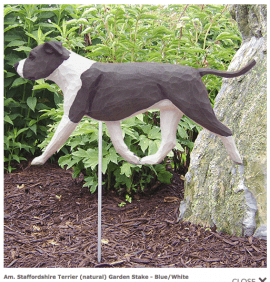 However, this exceptional dog breed is beloved by good dog owners. 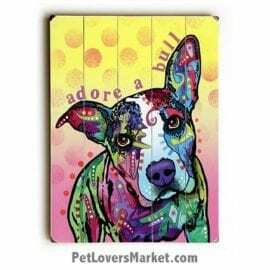 Pit Bulls also go by “American Pit Bull Terrier” or “American Staffordshire Terrier”. 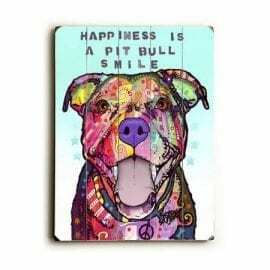 Originally, the Pit Bull Terrier was bred by uniting the drive and perseverance of the Old English Terriers with the strength and agility of the Old English Bulldogs. 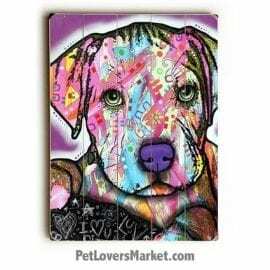 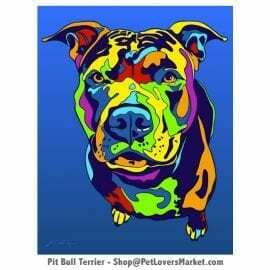 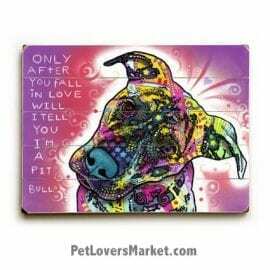 If you’re a fan of Pit Bulls, view our collection of pitbull art, pitbull painting, and pitbull decor.